This is a popping dying fish. It looks like it's lying on its side in the water. 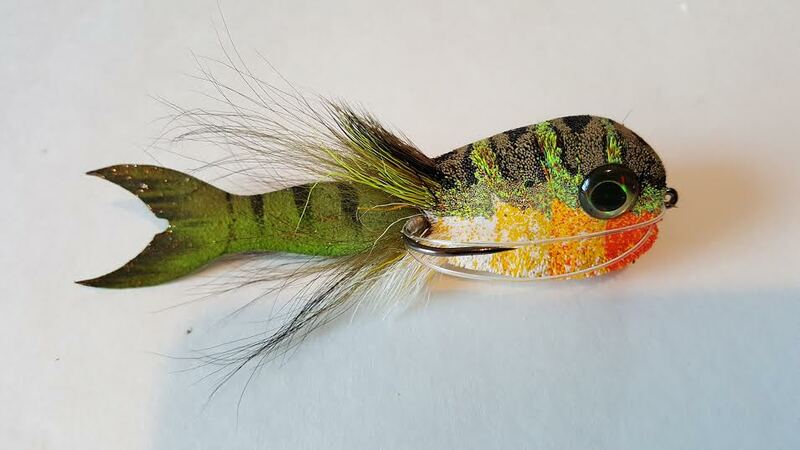 Made with Cohen's Minnow tail..It is also tail weighted created a slumping look in the surface film..